Purpose: Parent volunteer service hours are a vital part of school life. They help build community and parent involvement - two cornerstones of Catholic education. They also offset some school operational expenses. Who may work: Parents of the child enrolled in the school and siblings who are eighteen years or older may fulfill the service hour obligation. For single parent families or those in need, a designated alternate may be used. Parents are required to notify Ms. DiBernardo by the due date of the summer time sheet (September 5) if an alternate is performing the service hours. If anyone other than parents, siblings or the designated alternate perform service house, the hours will not be counted. All parents are required to work forty hours per school year or pay $400 per family. 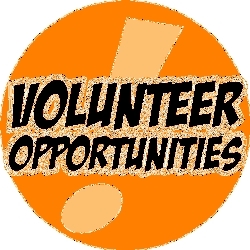 Times: The time allotted for completing service hours is May 1 to April 30. If the hours are not completed within this time period, parents will be charged ten dollars for each hour remaining. Time sheets: Parent volunteer time sheets are due the fifth of each month. If the fifth falls on a weekend or holiday, the sheet is due the next school day. A time sheet is attached to each monthly newsletter. All hours contributed for the indicated month must be listed on the time sheet. Late time sheets will not be accepted: therefore, it is very important that sheets be turned in on time. Completed hours are posted to each parent’s service hours record. An record of hours completed may be requested in the comments section of the time sheet. Eligible events: Parents, siblings and designated alternates may only work at those events that are authorized by the school. Parents, siblings and designated alternates may purchase items such as paper goods, candy, sodas, water, etc. for designated events; one hour’s credit will be granted for each ten dollars spent. The receipts for the items purchased must be attached to the time sheet to receive credit. Who to contact: Questions regarding hours should be directed to Ms. DiBernardo (310) 547-1138. 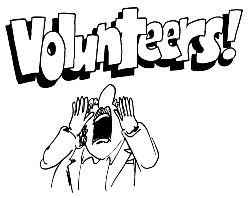 Those who have volunteered for an event but have not been called to participate should contact a member of the Parent Board or the chairperson of the event. Please do not wait until the end of the year to resolve the problem. It is the responsibility of the parent, sibling or designated alternate to complete this obligation. The hours are not transferable nor may they be carried over to the following school year. Purchased desserts are credited one hour for each ten dollars spent. Desserts must be accompanied by a receipt. Water can be turned into the Main Office at any time for credit. Dasani, Sparkletts, Crystal Geyser, Arrowhead, and Aquafina are the only brands that will be accepted. For every case of water, you will receive one parent service hour. Remember that whenever you volunteer for a specific duty (whether working an event or baking/cooking for a social) you are being counted on to perform that task. If for any reason you cannot fulfill that duty, it is your responsibility to arrange for a substitute and contact the person in charge of that activity. In the event that this is not done, the amount of volunteer hours you signed up for will be added to your remaining hours to be completed. You will receive an adjustment notice if this occurs.